Welcome to Chapter 2 of JPLearn! We have learned so much already in Chapter 1 and yet we’ve just begun. We focused our attention towards building a modestly strong foundation in the Japanese language and culture, developed the reading skills necessary to read most Hiragana characters, and it only took about two-weeks of daily practice. In Chapter 2, we will finalize Hiragana, learn Katakana, discover more kanji and introduce many new words. Most importantly however, we’ll be able to form sentences on our own and learn many new important concepts regarding the Japanese language such as adjectives and verbs. This chapter is dedicated solely to reinforce what we already know and to add a complete understanding of the basics of Japanese grammar. While this chapter may seem a bit boring compared to Chapter 3 which will be about being able to use Japanese in a real-world setting (Practical Japanese), it is imperative that you form a solid grasp of the basics before continuing. The reason behind this is that once you complete Chapter 2, understanding any new concept of Japanese grammar will be effortless and being able to learn new sentences will be fairly simple in contrast to jumping into practical Japanese. This is known from the years of feedback we've received with earlier editions of JPLearn!. Moving forward, we will begin each new lesson with はじめましょう or alternatives from time to time. はじめましょう (hajimemashou) can be translated to “Let’s begin” and is often times used to initiate the beginning of a class. 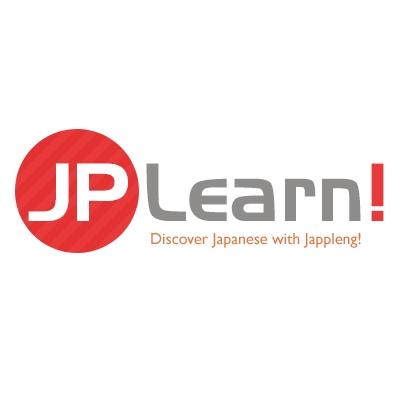 When you are ready, please proceed to the next lesson to begin your next adventure with JPLearn!